Gain more control over your finishing. The Top Line product is committed to the professional tradesman who takes pride in his work and care for his back. 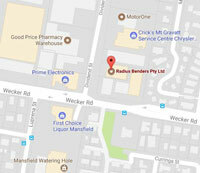 Copyright © 2019	Radius Benders Pty Ltd. All rights reserved.